Today’s Flash Back Friday comes from Episode 199, originally published in May 2015. 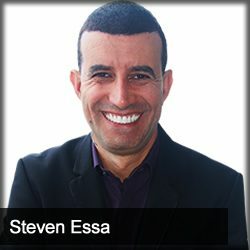 Steven Essa started out as a broke musician and now has done over $8 million in webinar sales. He shares some fantastic tips on how to make a great 60 minute webinar presentation, utilizing other people’s marketing lists to generate sales, and much more on today’s episode. [7:00] A product $1,000 or less, it’s a 60 minute webinar. If it’s more than $1,000, then it’s 90 minutes. [31:05] If you’re getting more than a 10% conversion rate, your prices are too low.